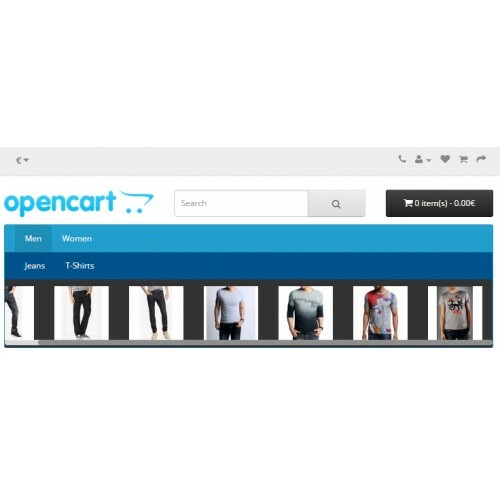 This module changes the Opencart main menu functionality. 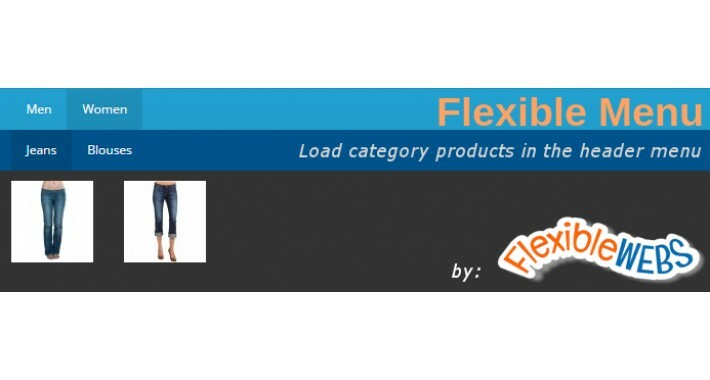 It shows 2 levels of categories, and if the selected category has products in it, they are loaded in a scrollable carousel. If a category doesn't have products or categories in it, it's not shown. On mobile, the not selected level 1 and 2 categories are collapsed, and they can be shown again tapping the + sign next to the selected category. Copy all contents in 'upload' folder into your store root folder. No files will be replaced. That's all! Your new menu is working. You can change the "Flexible Menu Image Size" settings (in your store settings -> Image) to the max size you wish to show. 1.2 - Responsive image sizes. New setting in Store Settings -> Image. 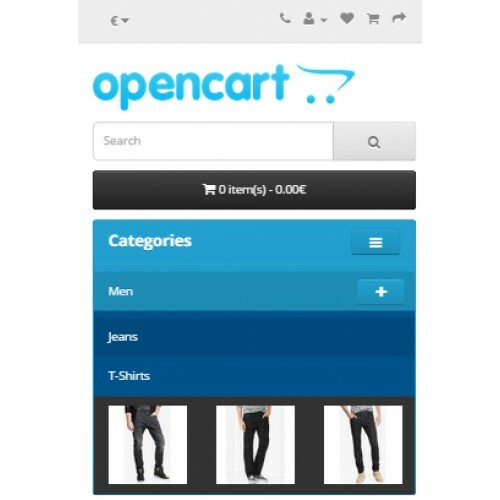 In mobile, always hide expanded categories when a subcategory is selected. 1.1 - 3 category levels supported. 1.0 - First version. 2 category levels supported.